> Link building quality vs quantity: which approach will boost your SEO? Posted: Tuesday 27th May 2014 in Owned and earned media, Thought Leadership. 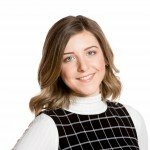 Link building is an essential SEO technique – but should the emphasis be on quantity or quality? It could be said that link building has been the bread and butter of SEO since the very beginning of the craft in the early 2000s. Other tactics such as content marketing and local SEO have come to the fore more recently but Google’s search algorithms still look for and give weight to the number of external links that direct a reader back to a page. So although link building is no longer the glamorous tactic in the SEO bag of tricks it’s still an important one. on quality rather than quantity when it comes to link building. The aim of this blog post is to explore these strategies with the retail sector in mind. The quantity link building approach involves creating a link brief to fulfil on a monthly basis. Subject areas are agreed before searching for suitable links from blogger sites that meet a baseline standard. Metrics like Domain Authority and Flow Metrics can help you determine the popularity of a site and how beneficial it is in terms of boosting SEO value. Which retailers does this approach work best for? For outreach there’s a wealth of beauty, fashion and home interior sites so achieving the quantity targets is somewhat easier. However these are also incredibly competitive sectors so building the relationships and gaining the cut through can be challenging. Spreading links out over a pool of mid-range authority bloggers is an efficient approach when it comes to link building at scale. Google encrypted search: is this the end of SEO as we know it? 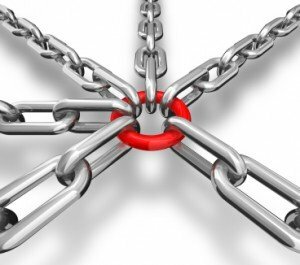 When it comes to building quality links the aim is to get fewer links from higher authority sites. Good quality sites with strong Domain Authority and social following give the most SEO value. Such sites can be fairly hard to get backlinks from, meaning more time has to be dedicated to building trust and a relationship with the site owner. For high-end premium products, building a relationship with authorities in your market is crucial to success with a long term goal of achieving brand advocates. This approach is great for generating a variety of links from different types of content – from blog posts to news articles. Once you’ve built a long term relationship with a site owner/blogger, future campaigns that you work on together are likely to be far more efficient. If you have any questions about link building or other SEO strategies please contact Dave Trolle on 01482 876876.